Product #21952 | SKU STP-802 | 0.0 (no ratings yet) Thanks for your rating! 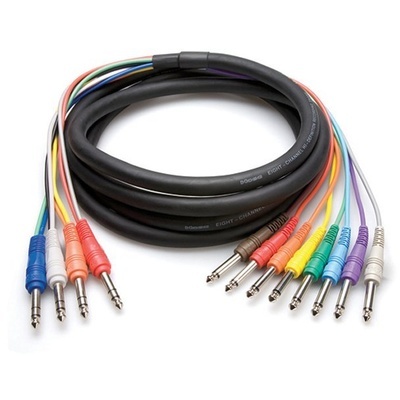 This Hosa STP-802 Snake Cable is a 6.5' (2 m) long cable with four TRS 1/4" male plugs on one end that split into eight 1/4" male plugs at the other end. Ideal for use as a send/receive (insert) snake cable. Features Hosa's own molded plugs.